You Failed An Exam: Is it Really the End of the World? Chances are you have probably failed a test, quiz or exam at one point or another. If you haven’t, bravo, but if you have then you understand the feeling of anxiety and panic thinking that there is no way you can overcome such a huge blow to your grade. However, there is a way that you can make up for those points and possibly avoid receiving an F in the future. Staying on top of your homework in the beginning of the semester/quarter will alleviate future problems. There is a reason for homework, although some people call it busy work. Homework is designed for you to refresh your memory about what you learned in class that day, and to bring back any questions you may have about your assignment. Homework to a student is what exercise is to an athlete – they go hand-in-hand. In order for an athlete to grow, he or she has to exercise and practice. In the same, we have homework and assignments so that we are practicing the material before an exam is given. Nothing feels worse than getting an exam where you are unsure about over 50 percent of the questions. Reach out for help from your professors. They’re not scary people who will look down upon you for letting them know that you don’t understand the course material. If you fail an exam, go to your professor and ask them about the reason you received low marks on some of your questions. Ask them what you can do next time to improve, and let them know that you’re struggling. Keeping quiet and hiding in the back of the classroom doesn’t prove to the professor that you actually care about your grade. Faculty members more than likely will not approach their students, so it’s wise to show them that you care by letting them know you’re having difficulties understanding what their teaching. Be honest about the decisions you are making. This point is for the people who blame everyone else but themselves for failing their exam. Simply put: if you choose to go out and party knowing you have an exam at 8 a.m., then that’s your prerogative. However, if you fail that exam the next day or miss taking the test, then that’s your fault. It’s your responsibility to make choices based upon priorities that you have and the impression you want to make. Professors are very keen on knowing the students who legitimately try to learn the course material versus the ones who are just taking a class because they’re required to do so. Never give up on yourself. Failing an exam is rough, and makes you feel like all of the studying in the world isn’t good enough. In fact, a lot of students will give up on themselves after receiving an F because they feel like they will never learn the course material. However, beating yourself up for something that you didn’t fully understand is not going to solve the problem or make you ready for the next exam. Take the time to find out what the problems were so that you can fix them and be prepared for your next test. By pushing forward you will find that it isn’t the end of the world and that you can succeed after failing an exam. Who wants a Free iPad? eCampus.com wants to say thank you to all of its customers, and what better way to do that than giving away a piece of the hottest new technology. eCampus.com is giving away a free iPad to 3 lucky students this summer. 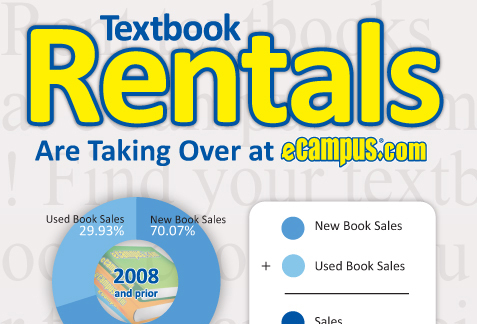 Every student selling a used textbook to eCampus.com this spring will be entered to win; one entry per book. Students can also become Facebook fans of eCampus.com to receive an additional entry into the contest. The iPad can be used to view any eTextbook that eCampus.com sells. Just get the Coursesmart application and your ready to go. You can highlight, take notes, and even search through the text for keywords. Awesome. 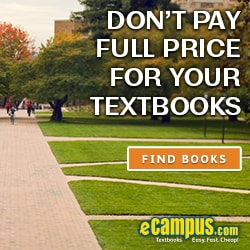 eCampus.com pays more for books than anyone else, and they buy back more titles than anyone else. It’s a no brainer. 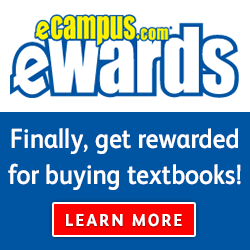 Sell your textbooks to eCampus.com, and you might win an iPad.